Today I’m giving you a sample answer for an IELTS Writing Task 2 question that I heard about recently. Nowadays, most people in cities live in large apartment blocks. Does this kind of accommodation have more advantages or disadvantages? What sort of question is this? I’d say it’s a society question. What about keywords? “People” and “apartment blocks”. What do you have to do? Talk about advantages and disadvantages. To be honest, it’s probably easier to talk about the advantages, but I wanted to show how you could do the opposite and give a more complex answer. In my essay below, I have mentioned an advantage in each body paragraph, and then given a counter disadvantage. I have tried to expand and give details for each, in thoroughly developed paragraphs. 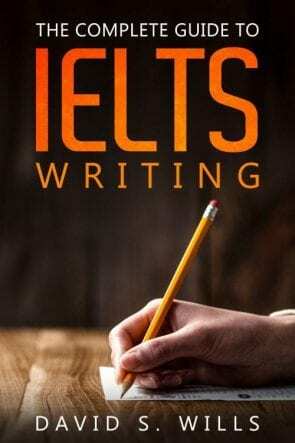 I recently put together a PPT that you can use for IELTS writing review and practice. Take a look and give it a “like”! It’s FREE, of course. In the twenty-first century, more and more people are moving from the countryside to the city, and in the city they tend to live in large apartment blocks. This essay will argue that there are more disadvantages to the situation than there are advantages. Firstly, although it may appear that apartment blocks provide a convenient way to accommodate a huge population, another way to look at this is its impact upon living standards. High-rise buildings may be the most efficient way of cramming a large number of people into a small space, but this causing overcrowding and increased competition for space. In these cramped environments, people are robbed of their personal space and freedom. While in developed countries, it may just be uncomfortable, in poorer places it can actually be a major health risk. The confined space causes disease to spread more quickly. It also appears that apartment buildings are a good way of grouping human populations so as to provide better services, but in practice this is not the case. We can see from numerous examples around the world that when people are found living in close spaces like apartment blocks, rather than an improvement of community and services, we see standards falling. Take South Africa for example. In this country, large numbers of people have moved to cities like Johannesburg to live in this sort of building, and yet they end up in dire poverty, surrounded by soaring levels of crime. In conclusion, although there are some seemingly obvious advantages to the increasing trend of apartment blocks, in reality there are more disadvantages. These may not seem so obvious, but they are numerous and serious.